Zac and I really don’t do much for Valentine’s Day. 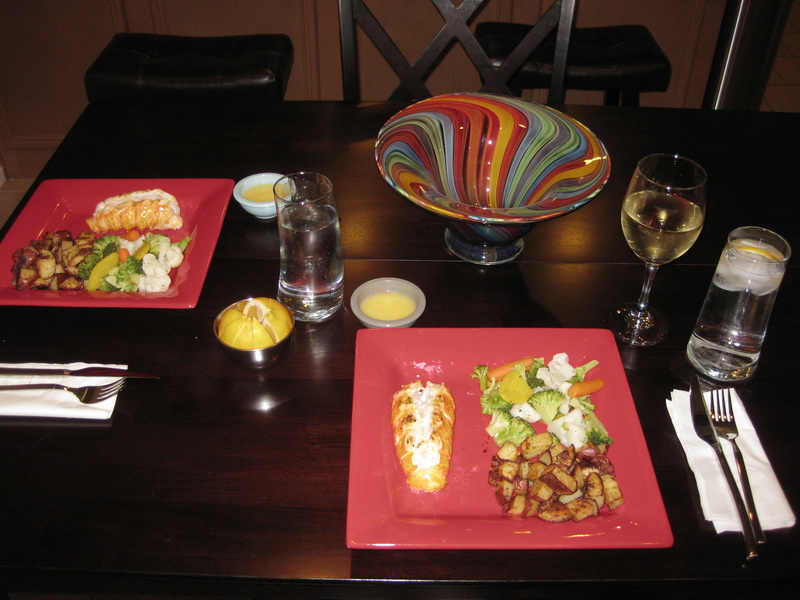 We hate going out for dinner on Valentine’s Day because the restaurants are ridiculously crowded, so we usually just cook a nice dinner for the two of us. It is the perfect low-key date. This year, we celebrated a day early and we cooked a delicious meal. 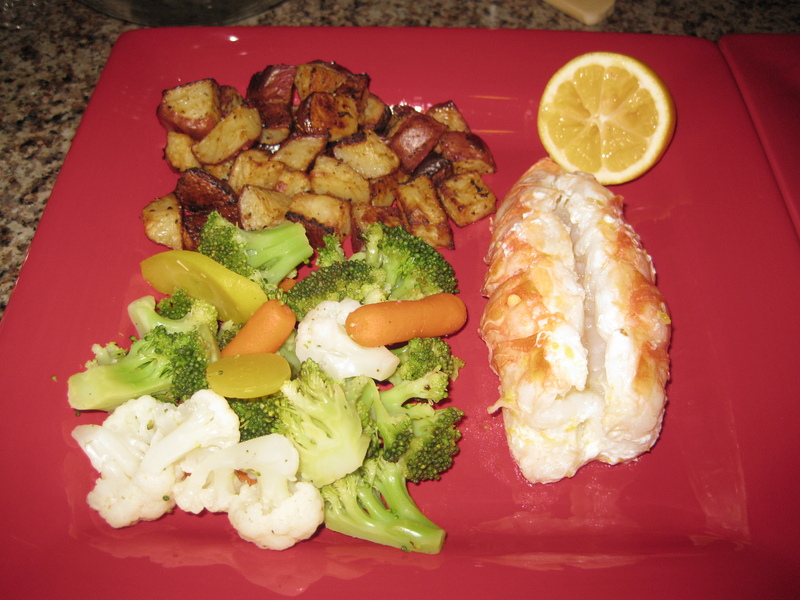 We had lobster tail, roasted red potatoes, and steamed vegetables. 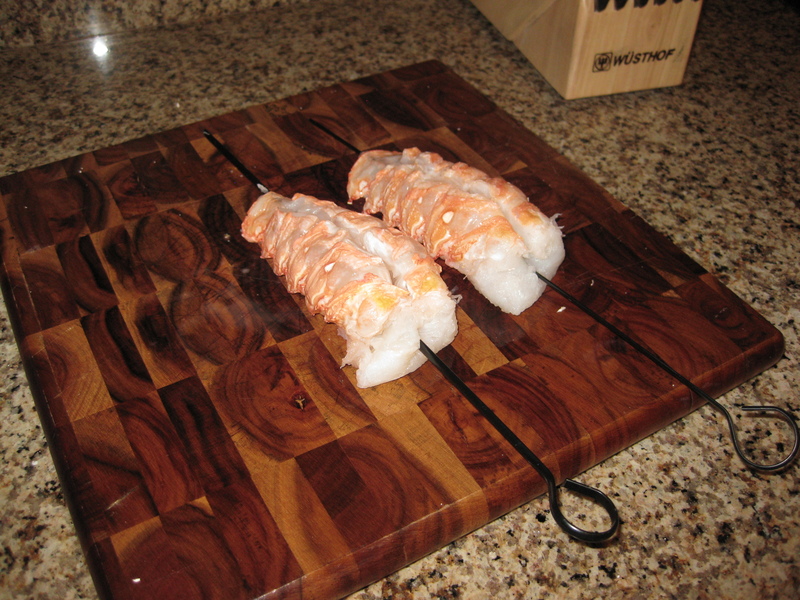 This was our second time cooking lobster tails, and it was much more successful than the first time. 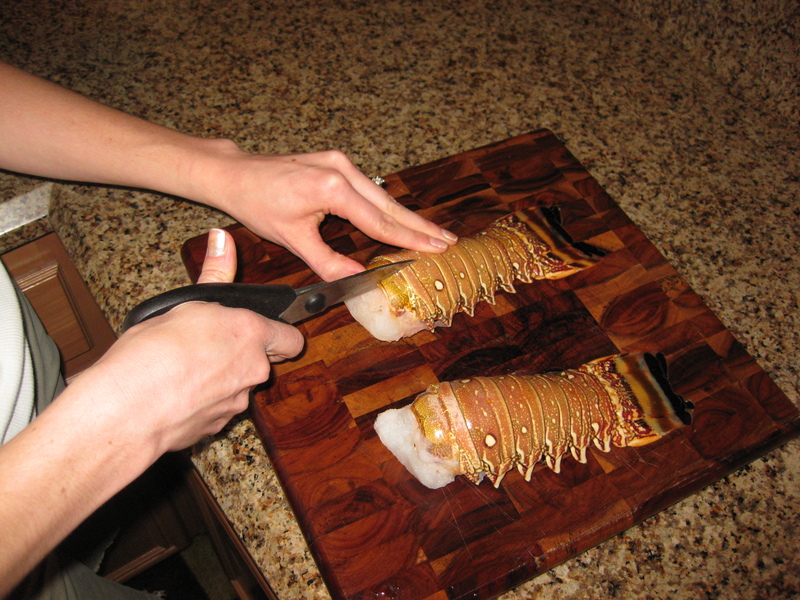 In fact, the very first time I had to watch a youtube video about how to prepare the lobster! This is how we prepared it. Start with your lobster tails. We bought ours at Costco and they were a decent size. 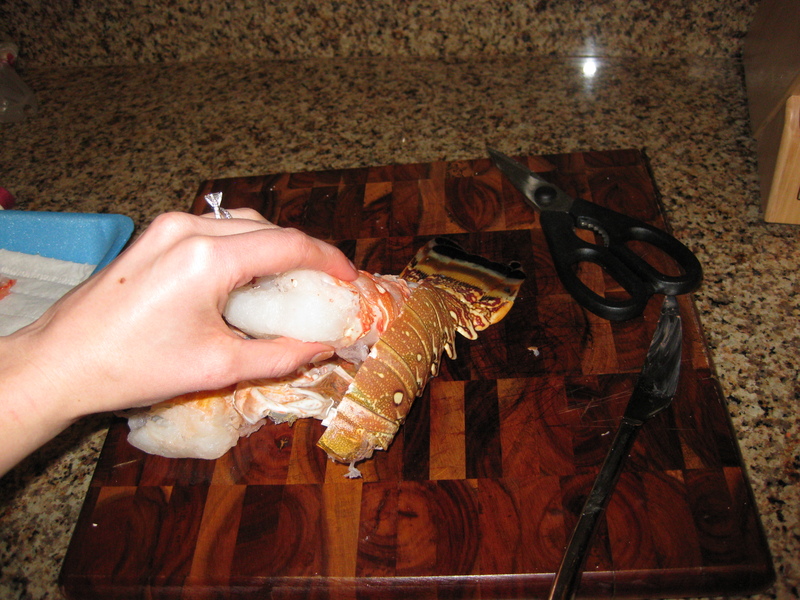 Then take kitchen scissors and cut down the center of the shell. You want to make sure that you are cutting just the shell. Try to avoid cutting into the meat. Cut all the way down to the tail. Then gently pull the meat from the shell. It should come out fairly easily. It also helps to run a butter knife along the shell and meat to separate it. Add skewers to the tails so that they do not shrivel up when you cook them. 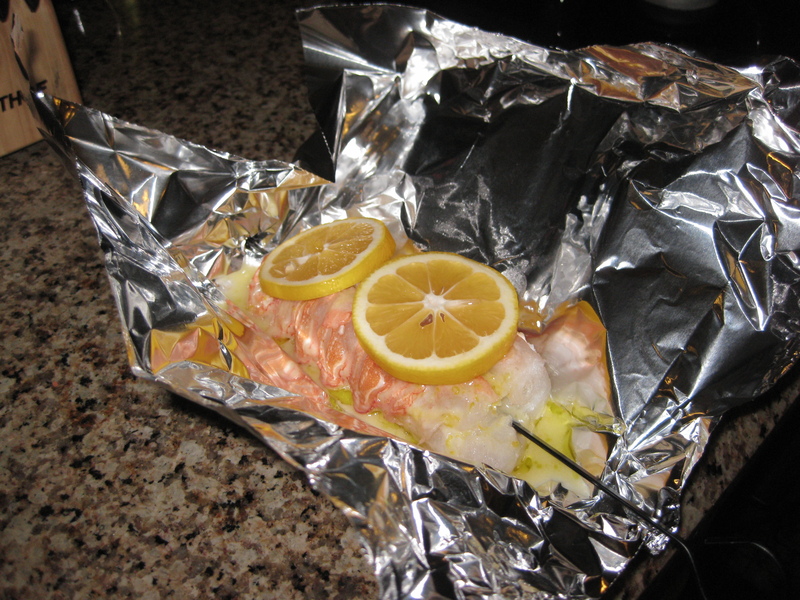 Zac cooked them on the BBQ wrapped in foil. Before we wrapped them, we added lemon slices and clarified lemon butter. Yum! Yum! That lobster tail looks delish! I haven’t had lobster in a few years. 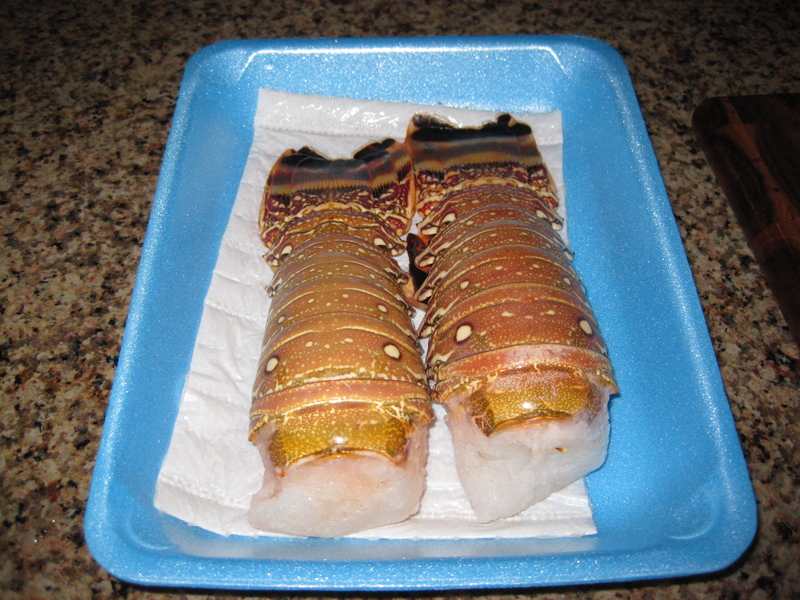 I can tell you that the way we clean them in the Bahamas is no where near as nice as what you described 😛 .. We go(well, used to go) lobstering down in Grand Bahama in August and we eat whatever lobster we get while we are there. I can only imagine what it is like to fully clean one. I use to fish with my dad and I’ve gutted a trout and made filets out of it, but I can’t imagine cleaning a whole lobster. That dinner looks so tasty!